Nothing beats “boots on the ground” for researching locations for a book. I always pick up details that no guidebook, or Google Earth trawl, will turn up. Not only that, but I love to travel to new places…here or abroad. 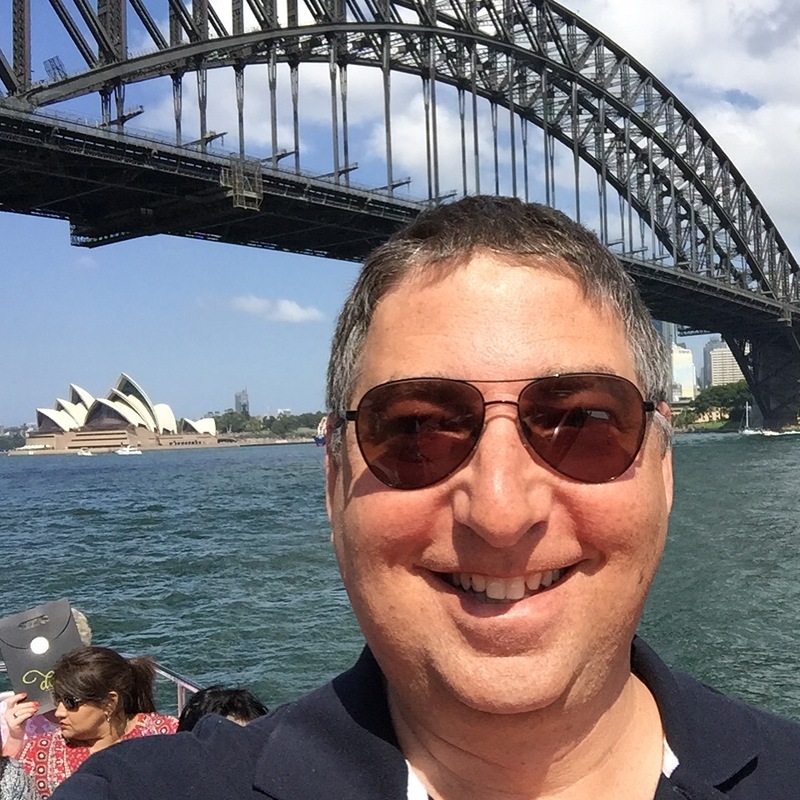 I just returned from a three week trip to Australia and New Zealand to research the as-yet-untitled sixth Fox & O’Hare book. My travels this time took me first to Sydney (and Manly Beach and Bondi Beach), where everyone was too damn good looking. Even the old people looked like models. All the women seemed to be wearing black… my theory is that they were morning all the fat, imperfect friends and relatives that had been exiled from the city. After three days roaming Sydney, we headed off to Brisbane, where I was relieved to see not everybody was perfect. 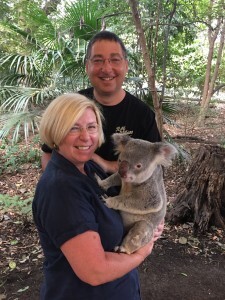 My wife desperately wanted to see some Koalas, so we went to a local reserve where we could hold the cuddly animals and get up-close-and-personal with kangaroos. 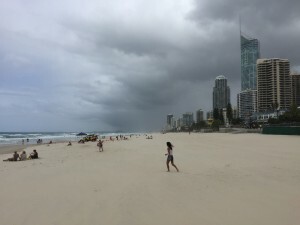 We roamed the city on foot and by ferry, then rented a car and headed off to explore the Gold Coast one day and the Sunshine Coast the next. The two coasts couldn’t be more different. The Gold Coast highly developed, with skyscrapers, high-end stores, and endless beaches…while the Sunshine Coast is more laid-back, less developed, but also with long, flat seemingly endless beaches. From Brisbane, we flew on Emirates to New Zealand. I’ve never been on an Emirates plane before and was amused by the wood-grain trim around the portholes and the faux-wood toilet seats in the unusually spacious lavatories. We were welcomed in both Auckland (and later in Wellington) by cousins of actress Alexia Barlier, who was one of the stars of my movie FAST TRACK: NO LIMITS. 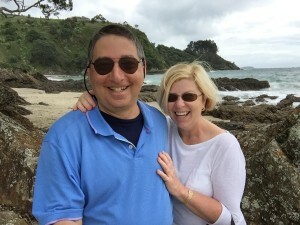 We spent a day roaming around Auckland on foot, then the following day we took a boat out to Waiheke Island, rented a car, and explored the entire island. We managed to visit all of Waiheke’s beautiful beaches and even visit two wineries for meals and some wine-tasting. We arrived in Wellington in time to enjoy the final day of Cuba Duba, a vibrant street fair, and were met by more of Alexia’s cousins, who introduced us to the city and entertained us in their incredible, hillside home, where they have breathtaking views of the city. We also met up with Jeroen Ten Berge, the artist who designed the covers for my DEAD MAN books, WATCH ME DIE, KING CITY, McGRAVE, and many other titles. He showed us around and it was a real treat to see the city through his eyes. After that, we rented a car and explored the countryside and the coast on our own, catching some dramatic vistas along the way. 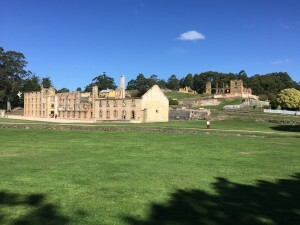 Then it was back to Australia for a few days in Tasmania, where we explored the city of Hobart and followed the so-called Convict Trail, soaking up the dramatic history of the island…and its roots as a penal colony. We also visited the bizarre, controversial, stunning, and unforgettable MONA Museum…which was like visiting an art galley designed by SPECTRE. The Gold Coast in Australia. 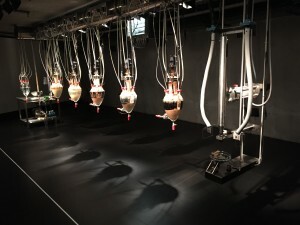 A machine/sculpture that eats, digests, and poops food at MONA in Hobart, Tasmania.